Get the most out of Matomo’s premium features with expert knowledge and support from the Matomo team. Afraid of data loss, a failing environment, data leaks, security breaches, performance issues, or not being able to grow your business because you’re not getting the insights out of Matomo (Piwik) you need? Or maybe you want to optimise your workflow to waste less time? We understand success depends on how effectively and reliably you can put your analytics technology to work. 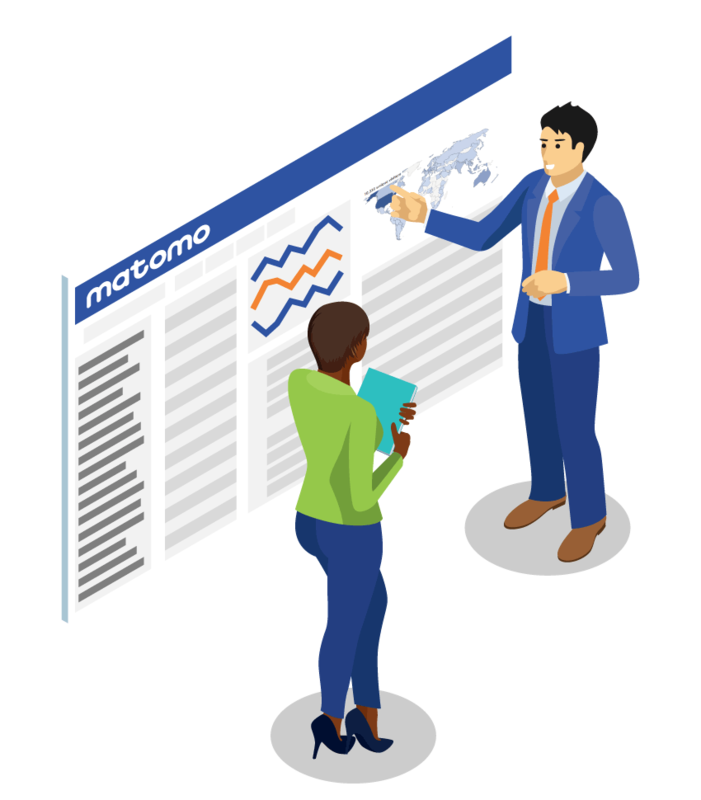 As the creators and makers of Matomo Analytics (formerly Piwik Analytics), our highly skilled team are here to empower you to achieve your business goals by providing the highest level of technical support, as well as access to premium analytics products. Medium or large businesses and governments can rest assured knowing we have the knowledge to help you fully utilise your Matomo Analytics. What to know more? Please fill in the form below and we'll get back to you in the next 24 hours.